As Swansea Bay’s largest park, Singleton Park has (quite literally!) acres of green and tranquil space for you to relax and explore. 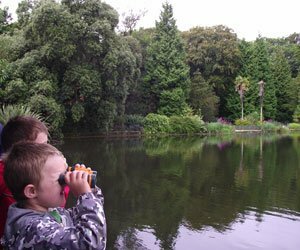 And that’s not all – you can hire a pedalo and have fun on the boating lake, let the kids burn off excess energy in the children’s play area, unleash your inner Rory McIlroy with a round of Crazy Golf, and enjoy the fantastic Botanical Gardens. Although at their most stunning during August when they stage a full programme of events and tours (keep an eye on our What’s On Page), the Botanical Gardens are gorgeous all year round – don’t miss the Japanese Bridge and Ornamental Gardens! Pack a picnic, put on some sun cream, and enjoy. Singleton Park and Boating Lake is accessible to all disability groups. 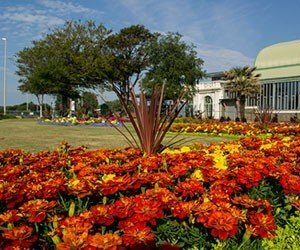 Blooming with rare species and internationally known for its superb collection of Rhododendrons, Clyne Gardens adds a touch of sparkle to Swansea Bay throughout the year. Winter is a good time to see Witchhazel, Chinese Fighazel and the Australian Oyster Bay Pine. 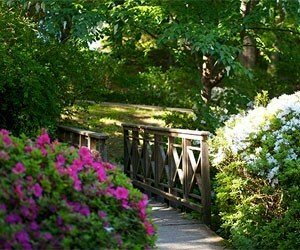 Spring is full of bluebells with Rhododendrons and Azaleas at their best. In summer visit the Primula in the Bog Garden and to stand beneath the giant Rhubarb. Autumn brings the Persian Ironwood tree into its finest colour. Visitors and plant enthusiasts alike will find plenty to see in this parkland which was greatly enhanced under the ownership of the Vivian family from 1860. These owners spanning almost a century understood how the newly discovered Rhododendron family would flourish in the acidic soil found on this south facing slope warmed by the sea. Visit the delightful small buildings created by the last Vivian owner for the enjoyment of his small daughters. One of the highlights in our Events Calendar is the annual Clyne in Bloom Festival throughout May, attracting thousands of visitors every year. Clyne has some steep paths which can be difficult for non-motorised wheelchairs and those with pushchairs. There are some stepped areas, though none on the tarmaced main path that winds up through the park. Boasting the perfect blend of natural beauty, excellent facilities and a fun packed Events Programme, Cwmdonkin Park is well worth a visit. With so much to see and do, it is particularly great for families. What can you expect? A bowling green, a fantastic children’s play area, walking trails, woodland, tea rooms and no less than four tennis courts! You won’t fail to notice the presence of one of our most famous residents – Dylan Thomas. Dylan wrote many fond descriptions of Cwmdonkin Park (most notably ‘this world within the world of the sea town’ in his memoirs), and there are lots of Dylan references throughout the Park – a giant pencil tree sculpture to name just one. It also forms part of the Uplands Trail which explores the area of Uplands where Dylan was born and lived much of his early life. The coffee shop is fully accessible, and you will find disabled parking and disabled toilet/baby changing facilities. Access for disabled people, wheelchairs and pushchairs around the estate is limited at present due to the steep nature of this historic picturesque site. If you require more specific information, please contact Penllergare Valley Woods directly. 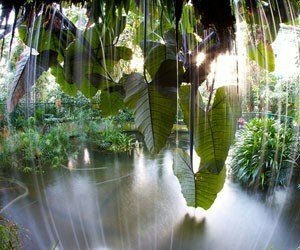 Bringing the outside in, Plantasia is a unique tropical haven bursting with wonderful plants and animals. Slightly more exotic than your average park or garden, it is a fantastic place to visit – not least for the novelty of walking through a rainforest in the heart of a city centre! Children will have a great time meeting some of Plantasia’s residents; including cotton top tamarin monkeys, chameleons, bearded dragons, Burmese pythons, parakeets and creepy crawlies, while learning about the importance of protecting our environment in the traditionally constructed rainforest hut. There are also special tropical and arid climate zones where you will find exotic fruit and plants, cacti and lots more. Find out more about Plantasia. Access is excellent, with full wheelchair access to all areas of Plantasia. Full information can be found here. 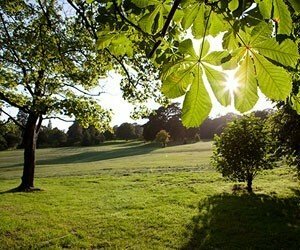 Brynmill is an extremely popular urban park with superb facilities, that are great for families. You’ll find a bowling green, children’s play area, and a lake. What really makes Brynmill Park so popular is its fantastic and unique outdoor classroom, the Discovery Centre. Overlooking the lake, you can watch birds and wildlife in their natural habitat, as well as enjoying fun arts and crafts and interactive games. 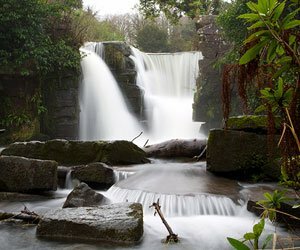 Interesting fact – Brynmill Park dates back to 1872, and has the honour of being Swansea’s first informal, then formal park. Brynmill park is accessible to all disability groups. Popular with residents and visitors alike, Victoria Park is renowned for its striking flower beds and herbaceous borders. 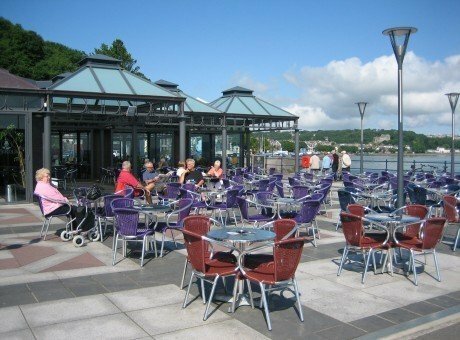 Located right on Swansea Bay seafront next to the Historic Brangwyn Hall, and with more than enough benches to go round, it is the perfect place to relax and watch the world go by. And it’s not just nice views and stunning floral displays, the park is also packed with fun activities for all ages – including a basketball court, tennis court, BMX / skate ramps, a children’s play area and a Multi-Use Games Area (MUGA). Fancy a snack? Head to the Kiosk where you will find a lovely array of food and drinks. Victoria Park is accessible to all disability groups. 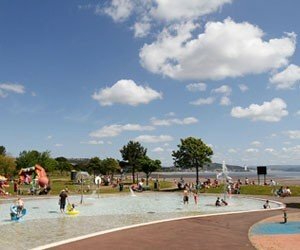 A fantastic park based in Mumbles, sit back and enjoy the stunning scenery over Swansea Bay. Enjoy a bit of friendly competition? 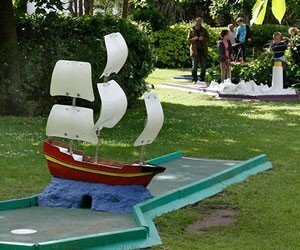 Winner takes all on the Crazy Golf course – or why not up the ante with a game of French boules, or tennis. Set up camp on one of the picnic tables, and watch the children have fun in the excellent play area. Easy pedestrian and wheelchair/pram access from Cornwall Place, directly adjacent to Mumbles Road. 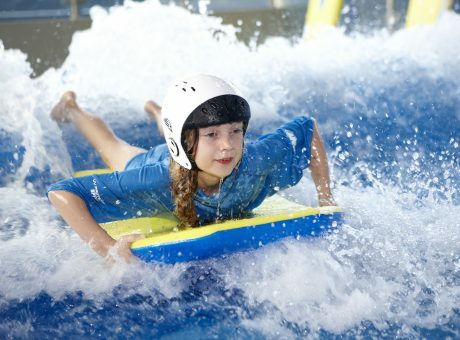 A different kind of park – this one’s a waterpark! Blackpill Lido is Swansea’s only outdoor waterpark, and it’s completely free of charge. A must when the sun is shining, it has a superb paddling pool, children’s play area, a climbing rock and picnic facilities. 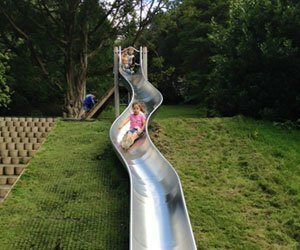 The park is very close to Clyne Gardens, so why not make a day of it and combine the two! The Green Flag Award is an international mark of a quality awarded to parks and green spaces – and we are proud to say that no less than 6 of the fantastic parks and gardens in our roundup are current Green Flag holders! 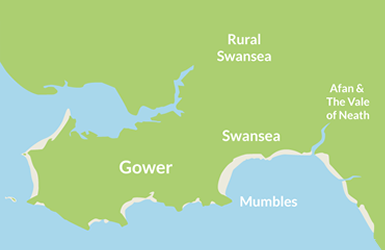 They are: Singleton Botanical Gardens, Brynmill Park, Cwmdonkin Park, Victoria Park, Clyne Gardens and Penllergare Valley Woods.